Our coach collected us from the Doubletree Hilton in Alice Springs at 6.50am for the start of our 500 kilometre drive to Uluru, Kata Tjuta and Kings Canyon. Fortunately the coach is very comfortable and air conditioned and we will have some stops along the way. 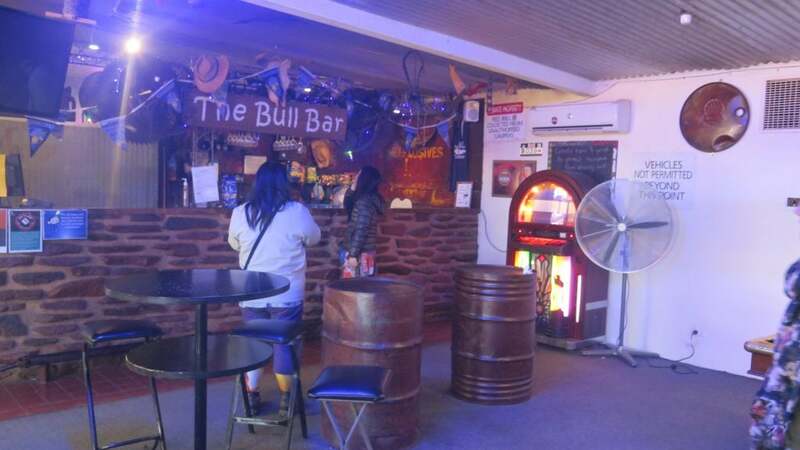 Our hotel is nestled in near the base of the splendid MacDonnell Ranges, and we will also drive along the Waterhouse Ranges and the James Ranges, all providing the most beautiful scenery on our journey. 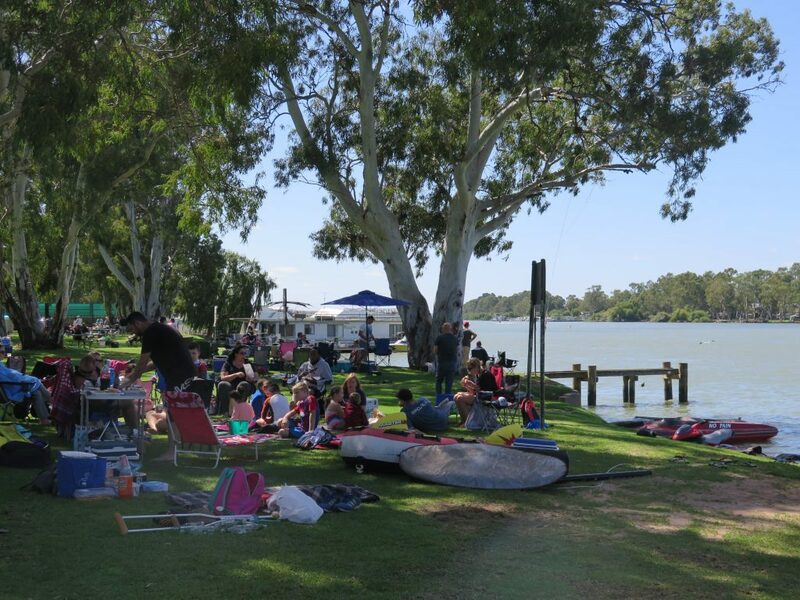 We will also cross over the four main rivers in the area, the Todd, the Hugh, the Finke and the Palmer rivers. The Finke is believed by geologists to be the oldest river in Australia, if not the world. All of these rivers are dry bed rivers, the water is under the ground. The four rivers finally join and flow into Lake Eyre. Pine Gap was also on our way, this is a combined Australian and USA facility with 2000 Americans employed there, but a high security site so no visitors. 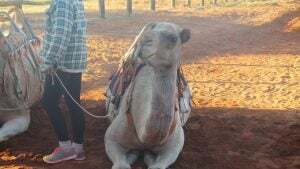 Our first stop was for coffee at the camel farm, Stuart’s Well, rides at $7 available for those who wished to have a camel ride. Along the Stuart Highway (named after early explorer Edward McDouall Stuart, one of Australia’s great explorers who completed the first European crossing of Australia from south to north from Adelaide to Van Dieman Gulf) there are a number of huge cattle stations. The first one we passed was the Henry Station which also houses a landing strip for the Royal Flying Doctor Service planes. It is 90 kilometres from the highway to the homestead. The next station is the Palmer Valley Station that raises certified organic cattle, and the homestead is 40 kilometres from the highway. Idracowra Station’s homestead is 80 kilometres from the highway to the homestead, and includes the geographical centre of Australia. This station is currently Arab owned. The Lasseter Highway, where we next travelled, passes through the Mt Ebenezer Cattle Station. 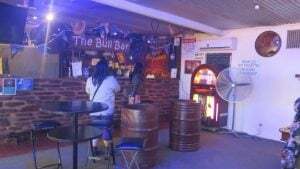 We stopped at Mt Ebenezer Roadhouse for lunch. This station was originally a part of Henry Station, but has been overgrazed and will take 4-5 years to rejuvenate. This 1600 square kilometre property was recently sold for $3.6million. 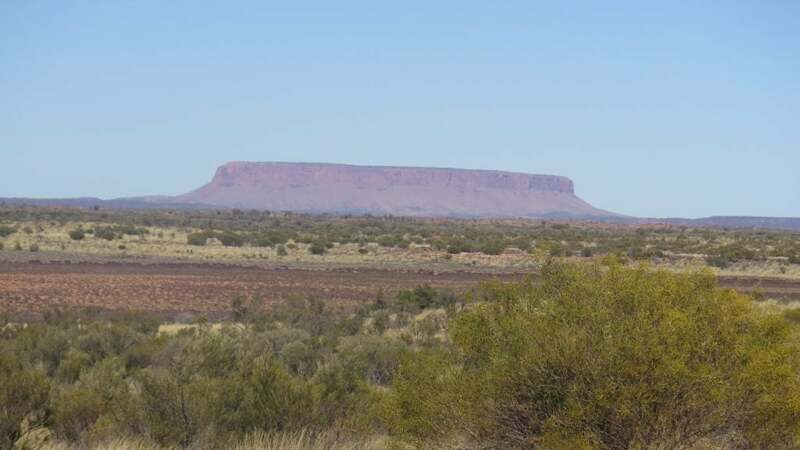 Mt Connor (Atilla) (image below) shortly came in to view and could easily be mistaken for Uluru, however it is 4 metres shorter than Uluru, and made of granite. There are some interesting stories about another station, Curtin Station purchased by Peter Severin (as a surprise for his wife, Dawn) in 1956, it is 4,164 square kilometres, or 1,000,028 acres. 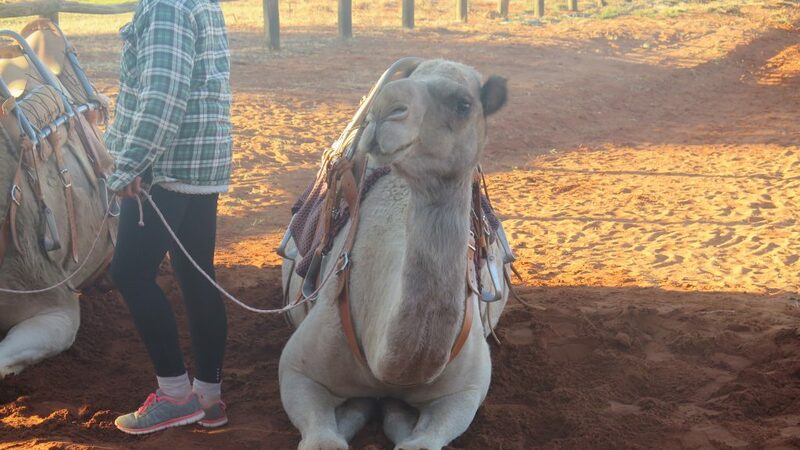 At the time the property was purchased it took three days to travel from Alice Springs to Uluru! Peter Severin is now aged 86 and still works on the property that is now mainly managed by his son. Peter Severin has made a valuable contribution to this area, and mainly now runs Murray Grey cattle, has experimented with other breeds. He was asked by the government to erect the chain on Uluru (then Ayers Rock) to assist those hardy souls climbing the rock. The government employee who negotiated the job with Peter Severin had never met him, and when Peter asked how high the chain was to be the reply was “about waist high”. 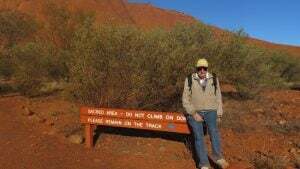 Unbeknown to the government employee Peter Severin was only just over 5 feet tall, thus the chain going up the walking trail of Uluru is much shorter for most people. 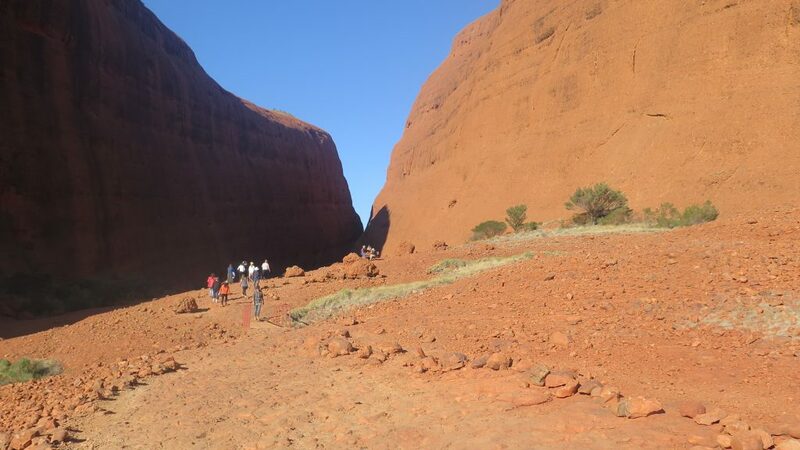 The local Aboriginal people oppose anybody walking on Uluru now (there have been about 45+ deaths over the years), it is only open at certain times, and climbing is discouraged. Finally, we reached Uluru Kata Tjuta National Park. The countryside on the way had been ever-changing and quite spectacular but to see Kata Tjuta was very special. I have a print of “Rain over the Olgas” which I love, but it was incredible to actually see the domes. It is a sacred site, and we were only permitted to go on to a part of the domes. Uluru and Kata Tjuta have significant meaning to Aboriginal people. They both form an important focus of their spiritual life. Uluru–Kata Tjuta National Park is Aboriginal land. The park is jointly managed by its Anangu traditional owners and Parks Australia. The park is recognised by UNESCO as a World Heritage Area for both its natural and cultural values. Often underestimated, the 36 domed heads of Kata Tjuta offer an experience in the true cultural significance of this red land. A guided tour will provide insight into the geology, resilient flora and fauna that seek refuge amongst the domes as well as stunning landscapes. The tallest dome is said to be around 546 metres high. Kata Tjuta is about 30 kilometres west of Uluru. The cultural landscapes of Uluru-Kata Tjuta National Park resonate with meaning. They contain creation stories and the associated knowledge of law, relationships, plants, and animals, all of which live in the shapes and features of the land. 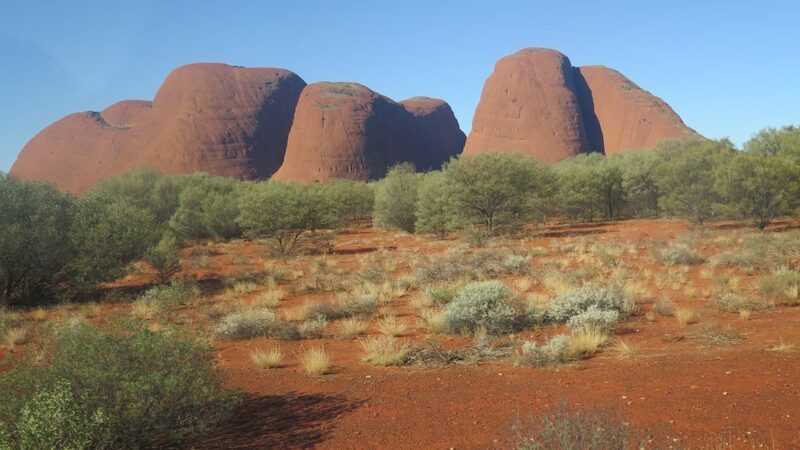 Places where significant events in the Anangu story occurred are held as sacred sites. Anangu have the responsibility and obligation to care for the land in a proper way. 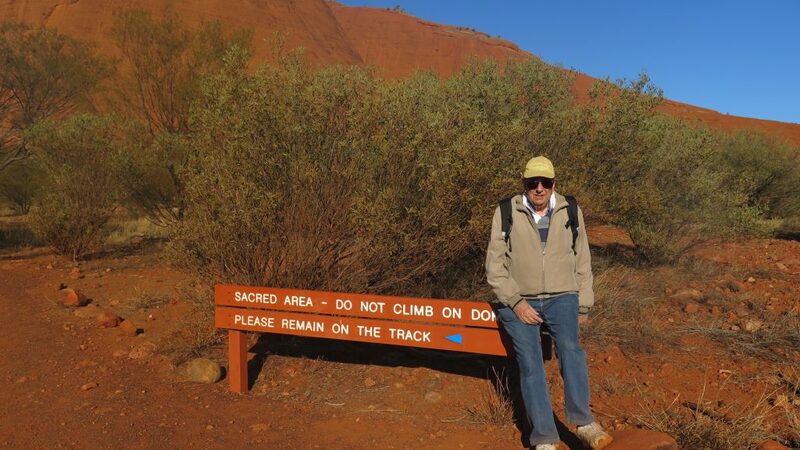 As such, tourists are not permitted access to certain significant or sacred sites. Even inadvertent access to these can be sacrilegious. 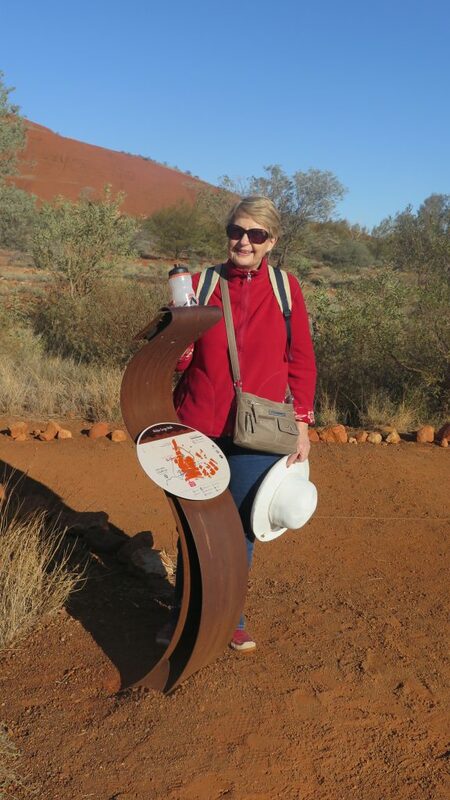 At Uluru-Kata Tjuta National Park some areas are fenced off and sometimes photography is restricted to ensure that visitors do not inadvertently contravene Tjukurpa restrictions. We had the opportunity to climb along Walpa Gorge between two of the domes. It was a gentle climb, and most enjoyable to actually be on one of the domes and see the view from the top of the Gorge. The day was closing in, and we were looking forward to driving to Uluru to watch the sunset. The guides had set up tables with wine and nibbles, and it had become quite chilly, so we were rugged up for the viewing. The temperatures in Central Australia can vary from -4 degrees overnight and morning, to 24 degrees during the day so it is best to be prepared with layers of clothing. 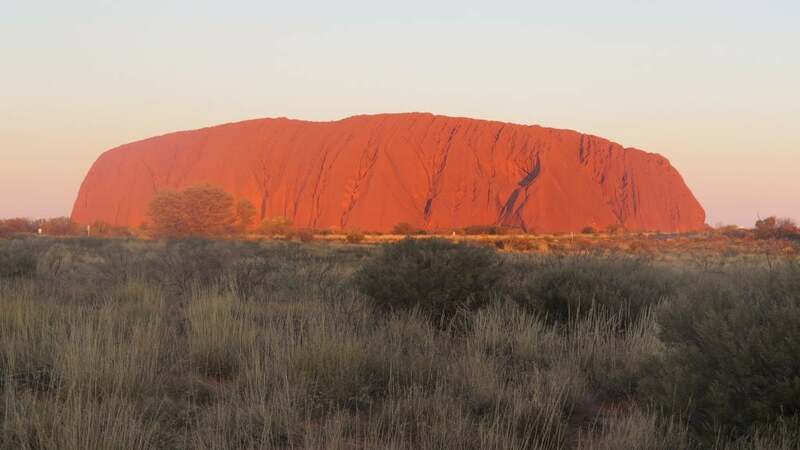 Sunset on Uluru is a spectacular sight, watching the changing colours as the sun sets. There is a large viewing area, and a viewing platform, but we were content to stay near the buses and watch the spectacle. Later we were taken by our coach back to our hotel for dinner, and a reasonably early night as we have a sunrise over Uluru tomorrow morning!